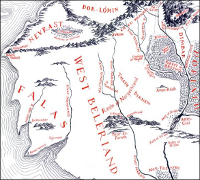 Location: The main river of West Beleriand; arises at Ivrin in the Ered Wethrin; joins the Sirion in Nan-tathren. West Beleriand, showing the River Narog. [The] River Narog rose in the falls of Ivrin in the southern face of Dor-lómin, and flowed some eighty leagues 1 ere he joined Sirion in Nan-tathren, the Land of Willows. 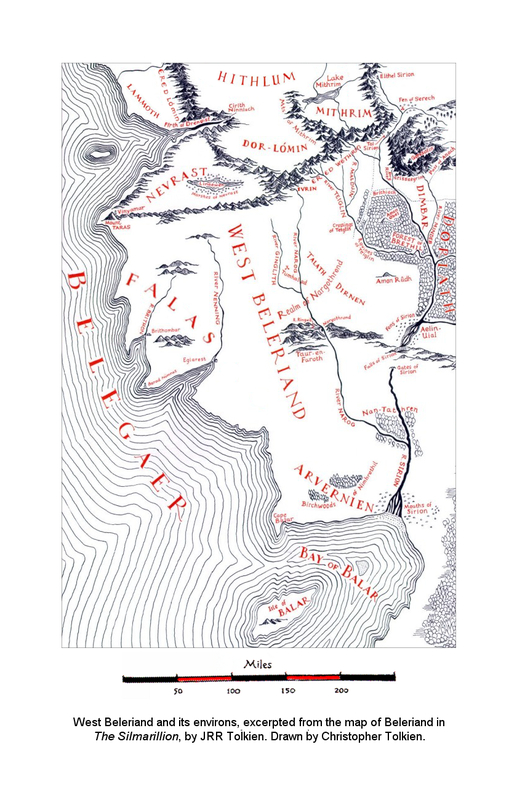 And following Sirion from north to south there lay upon the right hand in West Beleriand the Forest of Brethil between Sirion and Teiglin, and then the realm of Nargothrond, between Teiglin and Narog. with Sirion in the South.